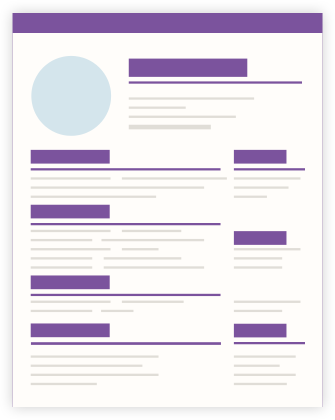 What’s Trending in Resume Designs? If you are reading, then there is a high probability that you are a job seeker. As an individual trying to overcome the “resume” hurdle, you would have come across a lot of suggestions and new resume designs. But how do you differentiate between the currently trending designs and the ones that have been created by over-the-top creative geniuses. There are some resume that are visually vibrant and have unconventional elements such as excessive use of graphic elements or the presentation of your details in a unique yet rather odd manner. For example, I came across a person who tried to make use of a passport design to create his resume. Yes, his resume was similar to a passport and the sheer design intrigued people enough to get them to check it out at least once. Irrespective of the creativity quotient, there is very little possibility of such resume designs to become the globally acceptable standard. Here are some of the current trends that are being witnessed in resume designs. While everyone is speaking about eliminating the objective statement, no one has been able to actually define its replacement. Surely you need an introduction to the resume but you don’t have to tell about your objectives as they don’t give an indication of your actual worth. Instead, make use of a small personal profile where you can sum up your competencies and expertise, skills, achievements and the ways in which you could contribute towards the organization’s growth. Seems easy? Well, you have to fit all of this into 2 – 3 lines. Remember, this has to be concise (preferably quantifiable) and it should be true. Break away from the age old tradition of listing your responsibilities in the experience section. Everyone is aware of the kind of work that your profile is associated with. It is your specific achievements that hold interest for the recruiters. So for a content writer, instead of writing “creating engaging content and optimizing them for search engines”, a better approach would be to write, “Created 500 words (search engine optimized) contents under 40 minutes (per content) resulting in an increase in user traffic by 30%”. Did you see the difference? The latter clearly highlights your ability and your proven performance in the delegation functional area. Hard work does pay off and for resumes, this means creating a targeted resume for every job opportunity that you wish to apply for. Don’t procrastinate things by using the same content over and over again. Learn to identify the key factors that could make your resume stand out from the crowd.. Add keywords, specific technical terms or something that the recruiters are searching for. Believe me, this really goes a long way in increasing your chances of getting noticed. Consider this, if you were planning on buying shoes and you go to a store, the least you can expect from the shop is that they would show you a variety of shoes that are usually targeted for different purposes. Would you be interested in even looking at the offerings if all of them were the same, save a few minor differences like labels or colours? You would be least interested. This is applicable for resumes too. No one likes to see huge volumes of resumes that have the same design and sometimes the same content, except for a few changes such as names, qualifications, experience. But the most astonishing fact is that people don’t even bother to proofread the content and the result is a content that includes the same errors in exactly the same places as is present in the source document. Spend some time to ponder over your expertise and the job profile that you are interested in. This would help you to come up with content that is not only unique to you, but also holds worth as being your own portray and this helps to stand out from the crowd. If you cannot make one yourself, then approach a resume writing service or create resume online. Do not worry about the resume writing prices. The value that you get from their services exceeds the worth of the amount being asked in exchange for their services. You can browse any resume and I am sure that you would come across this stereotypical line, “I declare that the above is true to my knowledge and understanding”. Do you really think that by making a declaration, you are giving substantial weightage to the information that your have provided on your resume? It is the basic expectation of any recruiter that you are providing accurate data. So please have some mercy on the recruiters and remove this cliché line immediately.